ARRIVE EARLY AS NEARBY CONSTRUCTION MAY CAUSE TRAFFIC DELAYS. FESTIVAL IS RAIN OR SHINE. NO RE-ENTRY. EMPTY WATER BOTTLES ARE ALLOWED. WATER REFILL STATIONS WILL BE AVAILABLE. STROLLERS & BABY BLANKETS ARE ALLOWED. CHAIRS WILL BE SET UP OUTSIDE THE VIP PIT AREA IN (GA) GENERAL ADMISSION AREAS. ADDITIONAL SEATING AREAS WITH CHAIRS WILL BE SET UP NEAR FOOD/FOOD TRUCKS THROUGHOUT PINEWOOD BOWL. Click here for helpful tips & prohibited items. 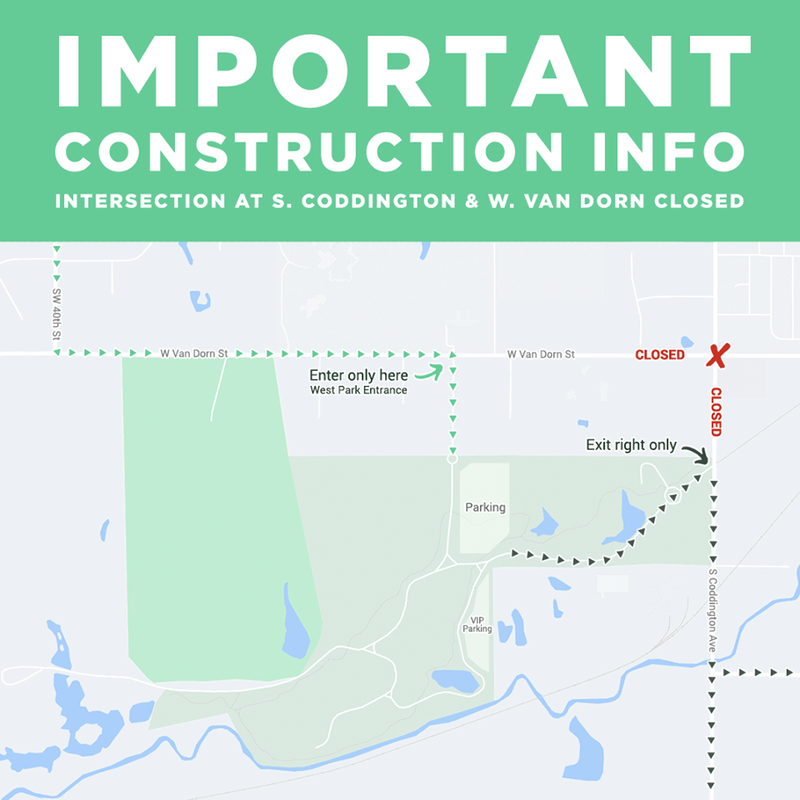 Click here for construction info. Surrounded by the natural beauty of Pioneers Park, The Inaugural Great Pinewood Bluegrass Festival takes place at Pinewood Bowl Theater on Sunday, May 20th – just minutes from downtown Lincoln, Nebraska. This is an all ages event and will feature music, various food trucks, vending, craft beer, and more! CHAIRS: Chairs will be set up outside the VIP Pit area in (GA) general admission areas. 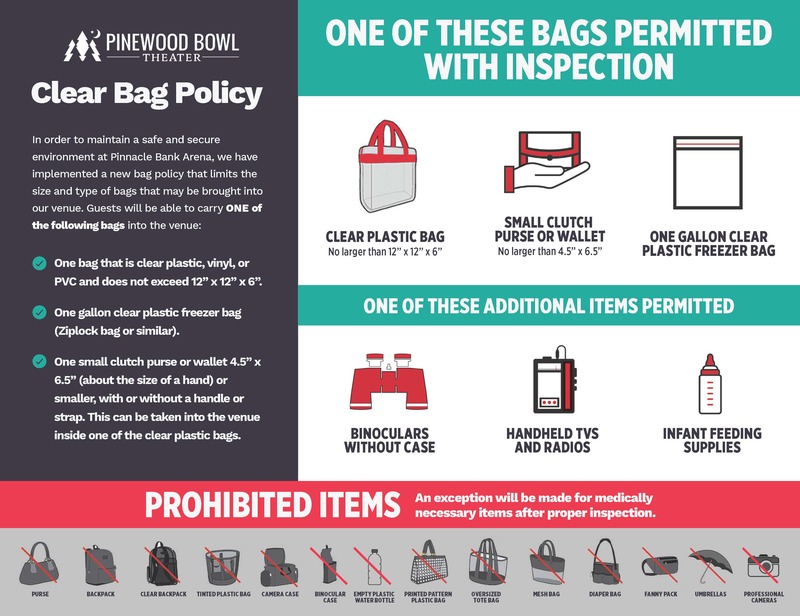 Additional seating areas with chairs will be set up near food and throughout Pinewood Bowl. FOOD TRUCKS: Various food trucks will be available during the festival. 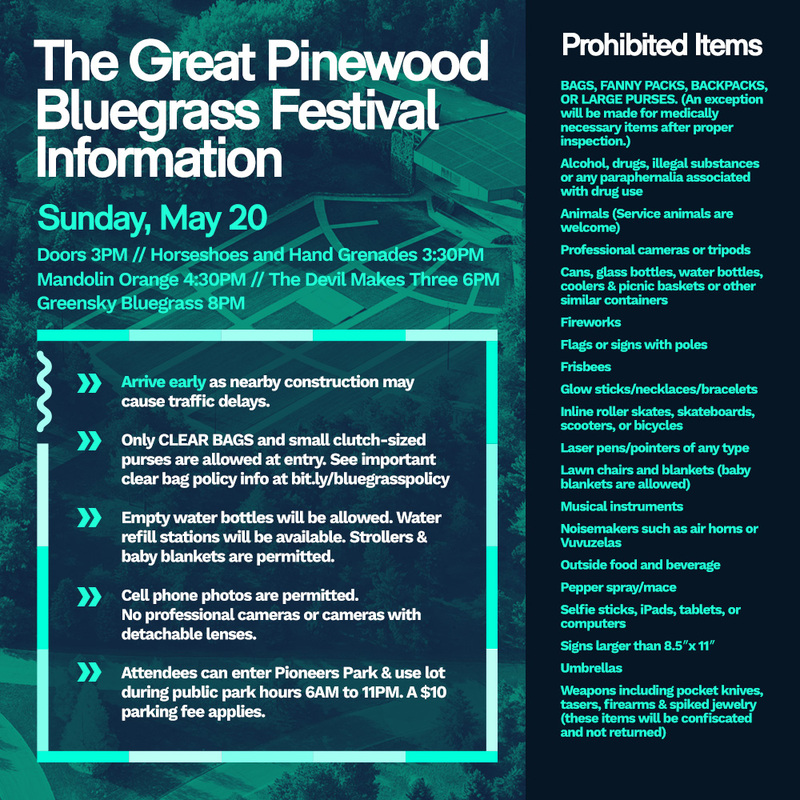 Attendees to The Great Pinewood Bluegrass Festival can enter Pioneers Park & use lot during public park hours 6AM to 11PM. A $10 parking fee applies. Tickets can be purchased at the Pinnacle Bank Arena Ticket Office Monday-Friday 11:30 a.m. – 5:30 p.m., online at ticketmaster.com, or charge by phone at 1.866.448.7849 (Automated) or 1.800.745.3000 (Live Person). Tickets can also be purchased at Pinewood Bowl Theater on Sunday, May 20th beginning three hours before doors open, while supplies last. Early Entry at 2:45 p.m. If you purchased a VIP General Admission Ticket, please SHOW and KEEP your TICKET to the PRE-PARTY on Saturday, May 19 at Bourbon Theatre with Lil Smokies, Leftover Salmon – Doors 7PM/Show 8PM for All Ages.On Sunday, May 20th, you must provide your VIP General Admission Ticket for entrance into The Great Pinewood Bluegrass Festival. All VIP Ticket Holders will also be wristbanded upon entrance into the festival. Please SHOW and KEEP your WRISTBAND for entrance into the AFTER PARTY on Sunday, May 20 at Bourbon Theatre with Horseshoes and Hand Grenades – Doors 9:30PM/Show 10PM for 18+ Only.